May is Older Americans Month. When Older Americans Month was established in 1963 only 17 million Americans lived to 65 years of age. In 2011, the first of the 78 million baby boomers (those born between 1946 and 1964) turned 65. This kicked off a boom in the aging population that will continue for decades. It is projected that the number of older Americans will reach 71 million by 2030 (when all baby boomers have reached 65 years of age) and 88.5 million by 2050. The causes of death have also changed. Death is now preceded by a slow decline from one or more chronic conditions such as Alzheimer’s disease, heart disease, diabetes mellitus, and respiratory disorders. Caring for a family member is often challenging, impacting caregivers’ physical health, mental health, work, social relationships, and/or quality of life. Sara (name changed), is a 58 year old woman who is caring for her aging mother, Helen (name changed). Sara recently moved her mother, who has a diagnosis of Alzheimer’s Disease, from Florida to New Jersey. Sara is married and has two adult children who no longer live at home. She was looking forward to her husband’s recent retirement with plans to travel around the country. Sara’s father was her mother’s primary caregiver until he passed away almost a year ago. Sara was forced to confront her mother’s condition and has taken on the role of primary caregiver. Sara described her mother as an independent and strong woman with whom she had a great relationship before her cognitive decline. Now Helen displays signs of paranoia and is quite moody and agitated, often taking out her feelings on Sara. Her caregiving has left Sara feeling quite frustrated, angry, and fatigued. She feels guilty about not having patience with her mother. Helen, in her mid 80s, believes her daughter forced her to move back from Florida and passes her days in front of the television in her apartment. According to Sara, her mother is financially secure, however Helen believes that she is unable to afford help. A friend convinced Sara to reach out to Jewish Family Service of MetroWest for support. Sara enrolled in the free, telephone based Care Consultation program. As a participant in the JFS Care Consultation, Sara is able to schedule appointments to speak on the phone as well as call on an as-needed basis. Focusing on the unique needs of Sara and her family, Jewish Family Servcice of MetroWest have been able provide guidance, information, and support to empower Sara to find solutions to concerns about health and care, such as referrals for geriatricians, emergency response systems, home care agencies, and home repair and organization companies (to install grab bars and make other modifications) and awareness of community services for both Sara and Helen. We will continue to work with Sara as her caregiving role evolves and changes providing ongoing emotional and practical support. The coming decades will not only see a significant increase in the aging population, but the growing need for family caregivers. Caregiving is often rewarding, but undoubtedly draining. Although these unpaid, family caregivers perform an important service, they often do so at a considerable cost to themselves. 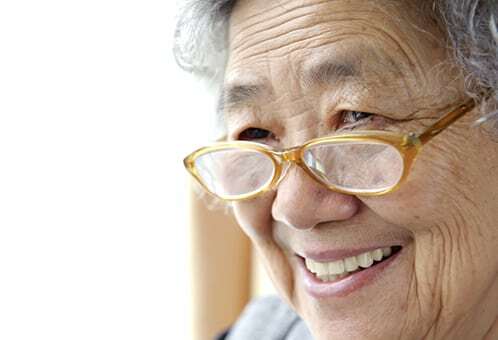 It is estimated that families provide between 80 to 90 percent of the overall long term care to older Americans, including nursing care, personal care, household maintenance, transportation, and shopping. According to the AARP, there are approximately 34 million Americans involved in providing care for a family member or friend 50 years of age or older. The demands placed on caregiver and his or her support system (if there is one) changes and often becomes more demanding over time. By enrolling in an evidence based intervention, such as JFS Care Consultation, caregivers can begin to regain some of the control lost during the often overwhelming caregiving journey. Alyson Kaplan, MSW, LSW, is the Social Worker for Caregiver Services at Jewish Family Service of MetroWest. The Jewish Family Service of MetroWest Care Consultation program is an evidence based support program established with a seed grant from the Healthcare Foundation of New Jersey. JFS Care Consultation provides ongoing support and helps find practical solutions to meet ones needs, adjust to changes, or plan for the future. For more information on Jewish Family Service of MetroWest and the Care Consultation program please call 973-765-9050 or visit www.jfsmetrowest.org.